To mitigate this problem, the ministry recommended people with Gold and Community services cards receive reusable bags for free. As of July 1, retailers will no longer be able to sell or give away single-use plastic shopping bags. Instead, people will have to purchase reusable bags that are more than 70 microns thick. This follows Cabinet’s decision last year to go ahead with a mandatory nationwide phase-out of single-use bags. 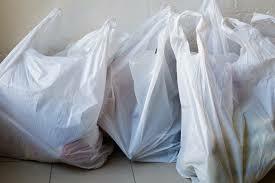 “Plastic shopping bags are a hazard for nature, particularly marine wildlife. They can also introduce harmful microplastics into the food chain,” Associate Environment Minister Eugenie Sage said. A regulatory impact assessment of the ban, written by the Ministry for the Environment, warned there was a risk it could impact on the poor the hardest. “Requiring consumers to pay up-front for new multi-use shopping bags could disproportionately affect lower-income consumers,” the assessment said. The ministry also proposed partnering with food banks and different donors to distribute free multi-use bags with food parcels. While the intention of the phase-out is to encourage a shift from single-use to multi-use methods of transporting sold goods, the Ministry said it was not possible to control how individual consumers will respond. To mitigate this risk, the ministry suggested providing information on the benefits of reusable bags the consumers, as well as working with retailers and supermarkets. The impact assessment also showed that the majority of businesses which submitted on the ban’s proposal were in favour of a mandatory nationwide phase-out. In total, 62 percent of businesses were in favour of the ban. Estimates of current single-use plastic shopping bag consumption in New Zealand range from 154 to 323 bags per person per year. The Ministry for the Environment said this adds up to between 750 million to 1.6 billion bags per year. It also said the value of imported single-use plastic shopping bags made of polyethylene in 2017 was $15 million. Comment has been sought from Sage.